Available in any size: plastic sheet protectors and archival paper. 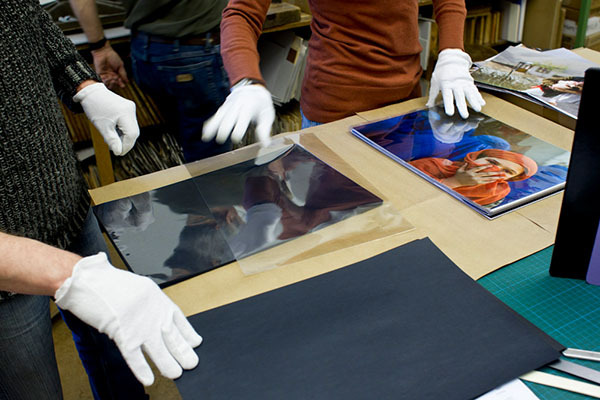 Our polyester sheet protectors are highly transparent and scratch resistant. We have all standard sizes, and can offer to make you individual sizes if needed. As an alternative to the plastic sheet protectors, you can also opt to print your artwork directly onto high-quality paper and have us bind these into your portfolio. We offer all papers by Hahnemühle. You may of course send us paper from other suppliers as well. We also offer as a service the cutting, punching and creasing of the paper so that the pages can be easily flipped. For printing, we offer a cooperation with Niels Demnitz Fine Art Printing. 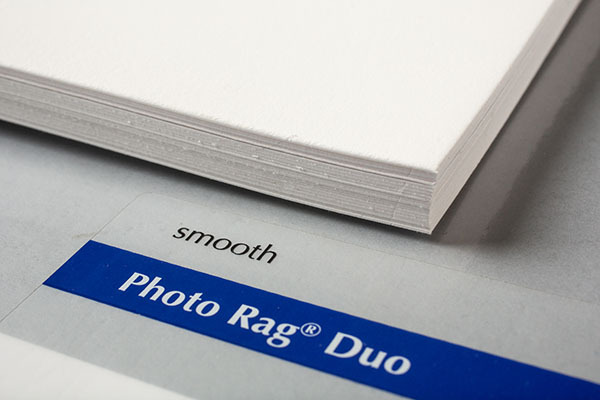 We have a large range of high-quality papers by Hahnemühle, in both the single- and double-sided printable varieties. 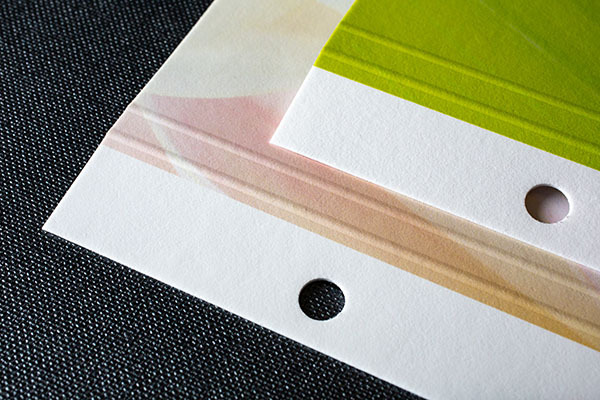 To facilitate the turning of the pages in a portfolio, they must first be hole-punched and creased. We’re happy to offer you this service. If your paper should not or cannot be printed, we can also take care of the printing for you.